I love to paint trees. From a decorating perspective they serve as great anchors to a room because they introduce a strong unifying element. 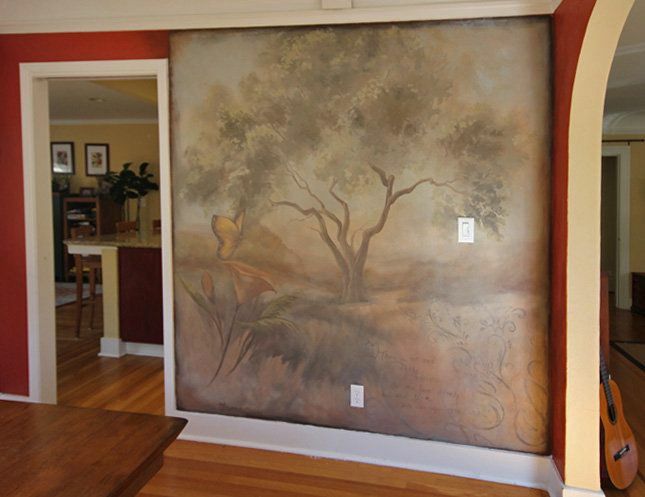 They can transform a bare corner and are a nice way to add color and life to a room. But they also add a lot of “psychic” nourishment. Trees are living models of being anchors, rooted, full of beauty, grace. Each one is unique, and has it’s own character. I have been painting a lot of trees and also have received lots of inquiries from my website about trees. If it is a trend, I think it is a good one. 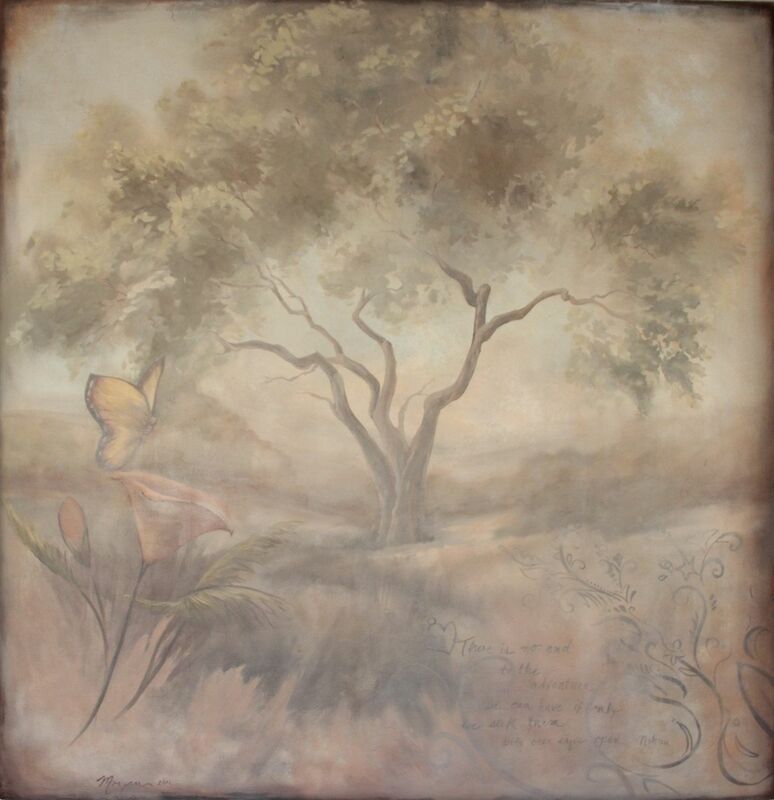 Here is a “dream tree” that I painted in my own dining room. I painted the wall first with a magnetic primer so that I can easily collage images and text over the top with the help of magnets instead of more permanent adhesive. The idea is to create a “family dream collage” where everyone contributes to mapping out our dreams for our life. For more information about this mural project, read my blog post Anchored by Trees.